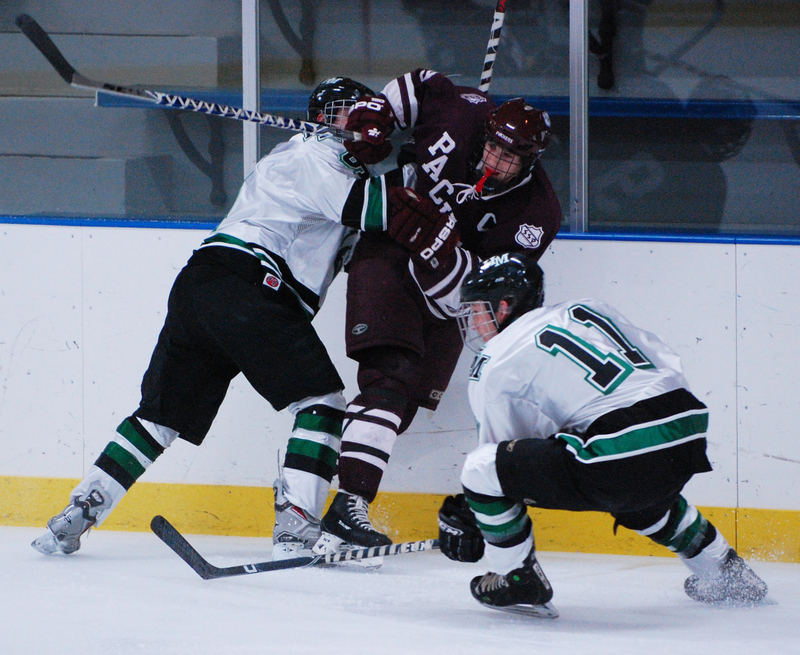 Hill-Murray survives another encounter with Godzilla-like goaltender. 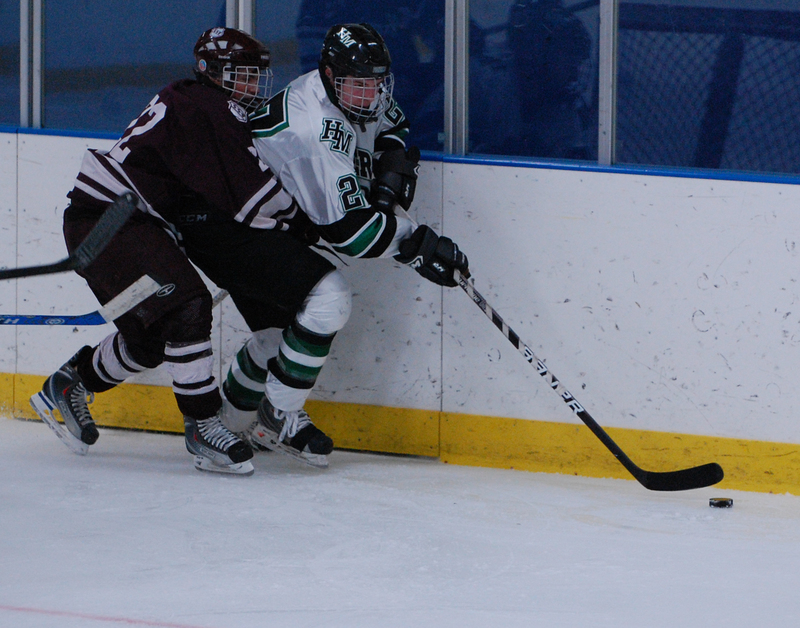 Forgive Hill-Murray’s forwards if they haven’t been getting much sleep lately. Visions of 10-foot tall goaltenders who breathe fire and devour pucks can cause some fitful nights, not to mention exceedingly difficult game days. On Dec. 8, the Pioneers, in a matchup of the state’s No. 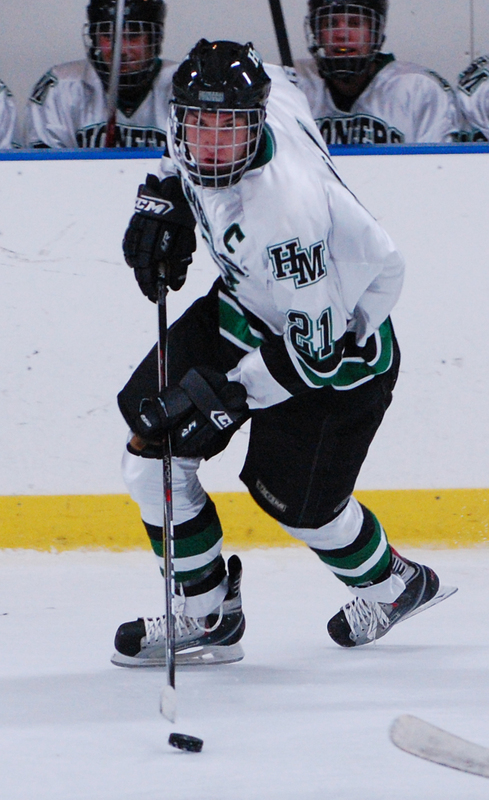 4 and 5 teams in the Class AA rankings, escaped their encounter with Benilde-St. Margaret’s Jacob Meyers with a tie. Four days later, they faced another all-to-real goaltender with seemingly Paul Bunyanesque proportions in South St. Paul’s Adam Wilcox. The encounter with Wilcox, whose legs and arms are so long and move so fast he might just as well be an oversized octopus with pads strapped on every tentacle, was two periods of pure scary. 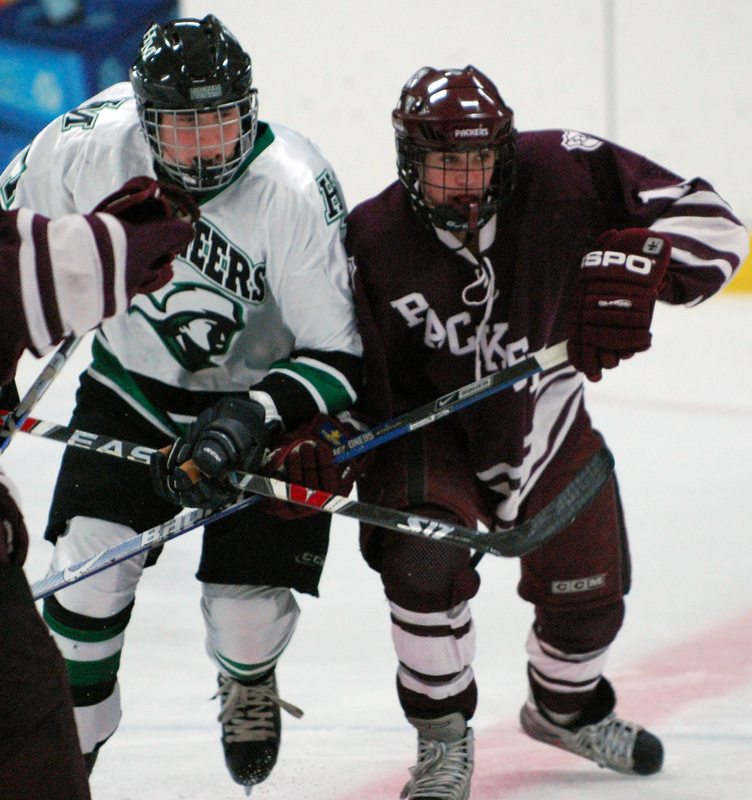 Finally, though, the Pioneers wore down the Packers and Wilcox, scoring all of their goals in the third period en route to a 4-0 win on Friday, Dec. 12 at Aldrich Arena in Maplewood. 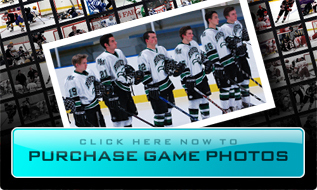 Hill-Murray, ranked No. 5, outshot the Packers 46-11. 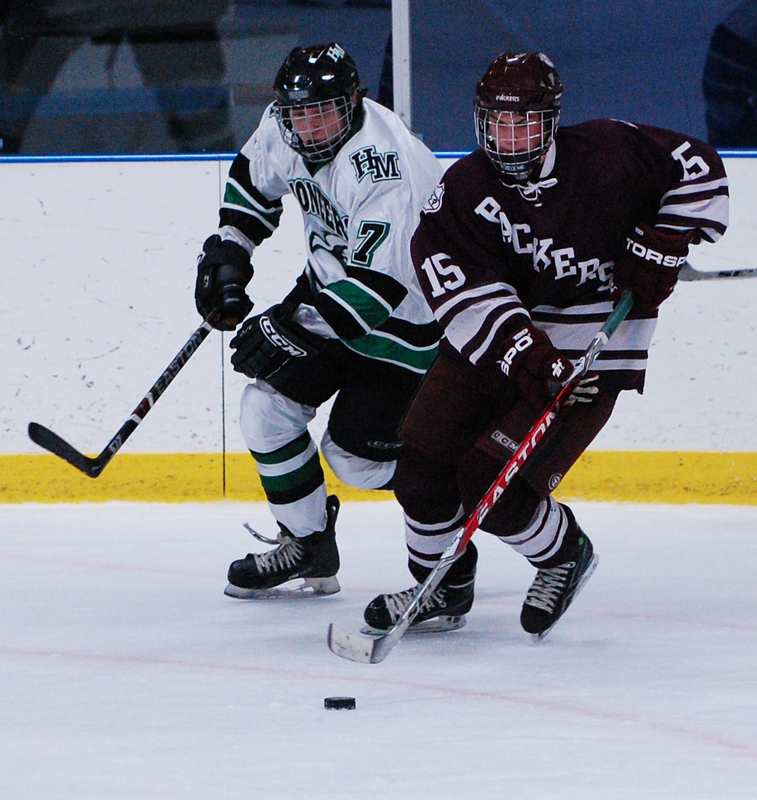 Nineteen of those shots came in the third period when South St. Paul, scrappy but overmatched, finally ran out of gas. 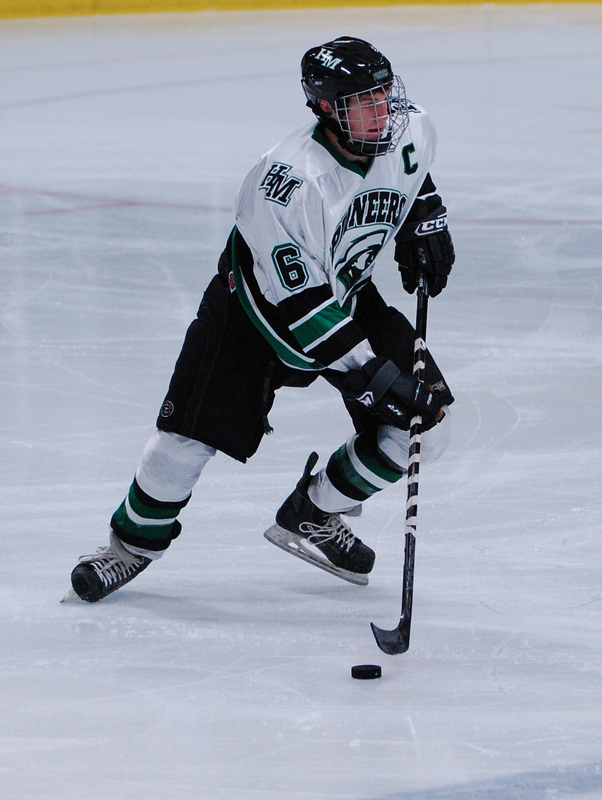 A 6-foot, 165 pound junior who has committed to play at Minnesota, Wilcox faced 16 unanswered Hill-Murray shots in the first period. It was more of the same in the second and the third, until the Pioneers finally broke through on a goal by sophomore Andy Faust just more than four minutes into the final period. Duly inspired by Faust’s solo rush around a Packers defenseman and nifty short-side shot that eluded Wilcox, the re-energized Pioneers threw everything but their water bottles and stick bags at Wilcox the rest of the game. If Hill-Murray had 20 quality scoring chances, and that’s a conservative estimate, the Packers had two. 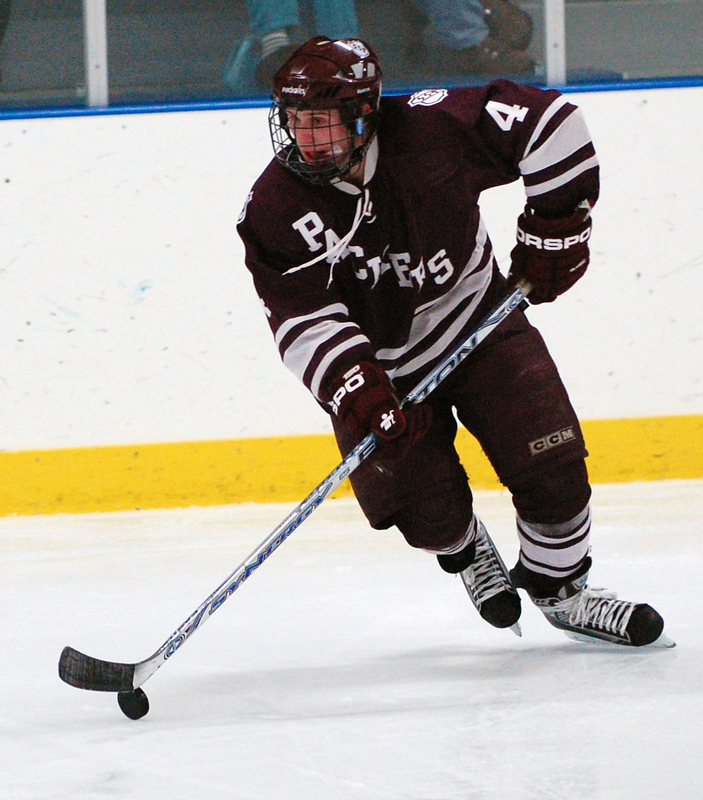 The Pioneers’ defensive corps, led by seniors Chris Casto and Jordan Johnson, was so effective there was little for goaltender Tim Shaughnessy to do most of the night except take the occasional drink from his water bottle. Meanwhile, at the other end, the Pioneers started feeding their defensemen with passes in the third period as they took advantage of a sagging Packers defense. 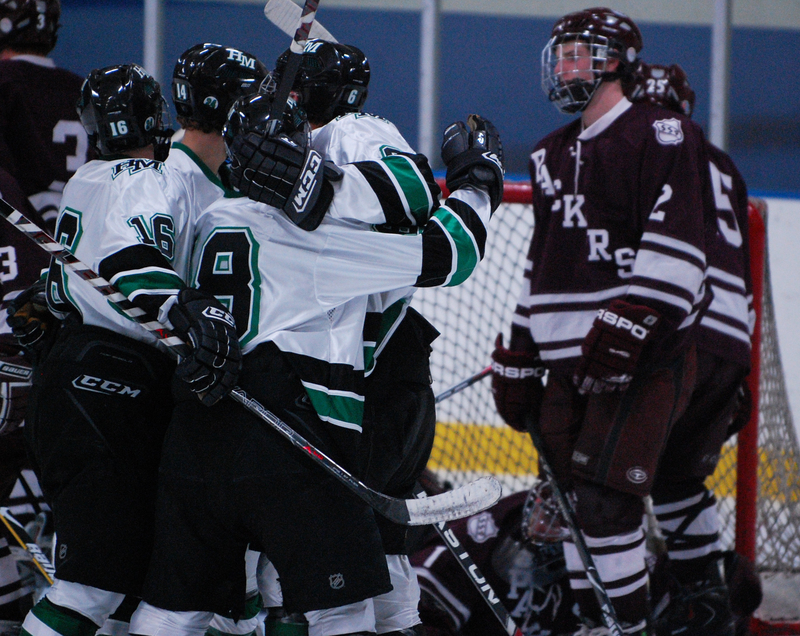 Walsh scored Hill-Murray’s second goal, at 9:20 of the third period, and finished off the night with a garbage-time goal in the closing minute. Any goal, though, scored on Wilcox is cherished accomplishment. “It takes quite a bit to beat him,” Walsh said. “The past few games we’ve been getting a ton of shots and haven’t been burying them. But you can’t let it get to you. Junior goaltender was inpenetrable for two-plus periods despite facing not only a deluge of shots, but numerous point-black Hill-Muray chances. 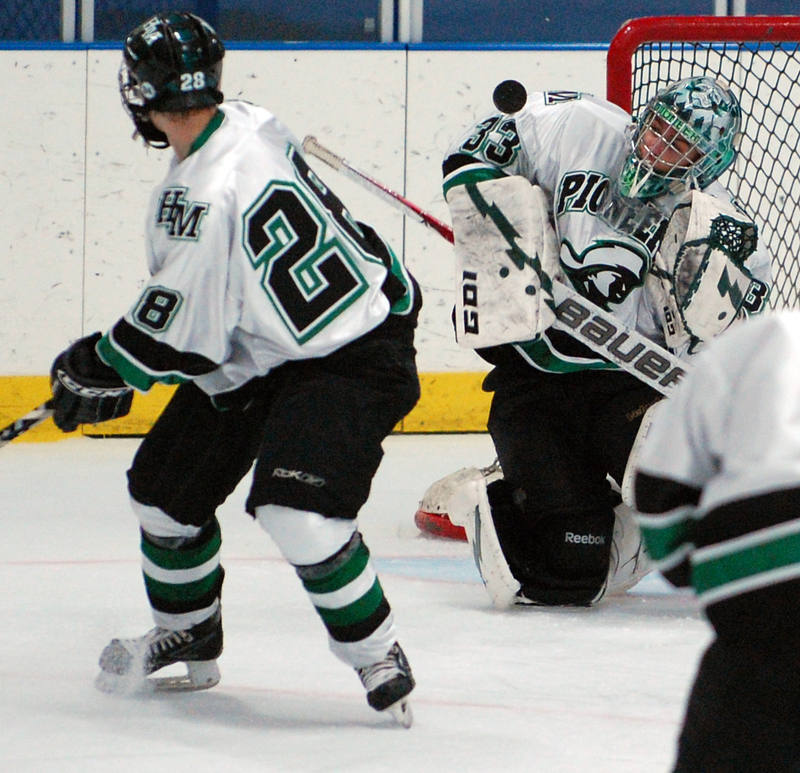 The Minnesota recruit finished with 42 saves and looked ready for the rigors of the WCHA now. 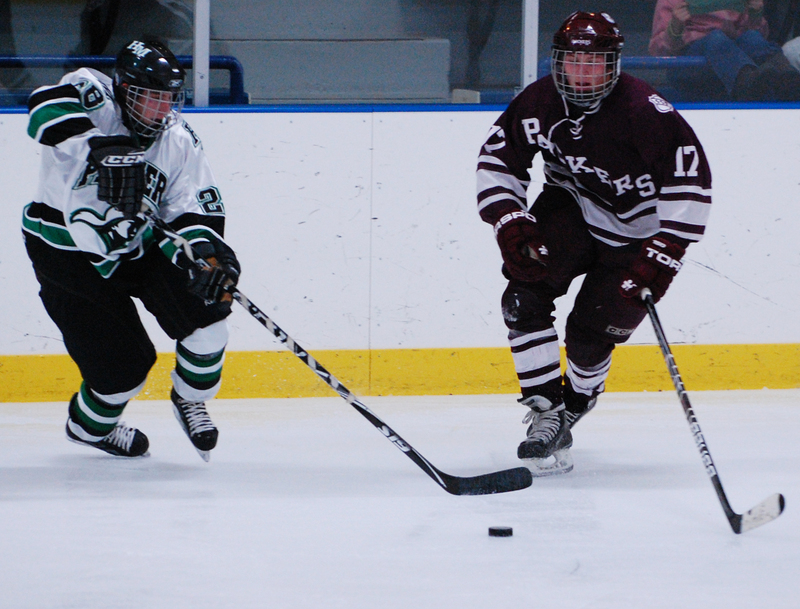 The senior forward scored twice, which against Wilcox is akin to having a four-goal night. 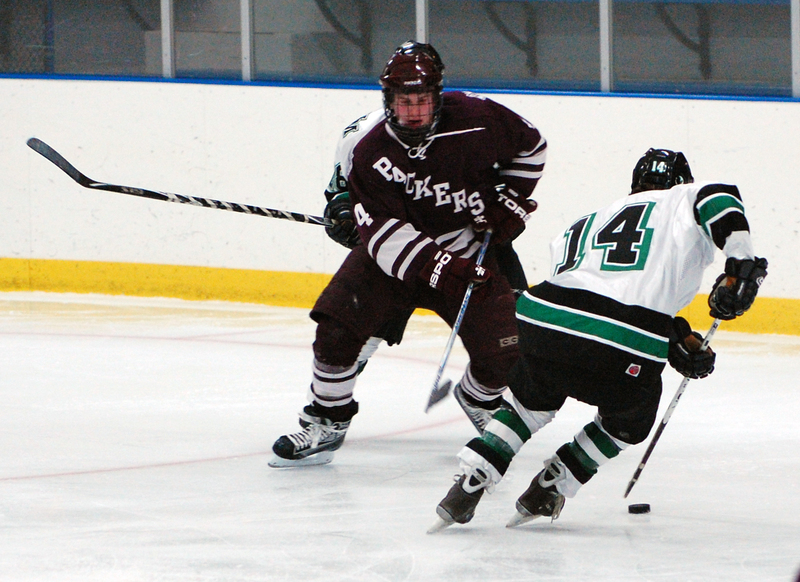 A stellar performance by the Pioneers' defensive corps, which limited the Packers' offense to a handful of decent scoring chances, deserves some recognition. 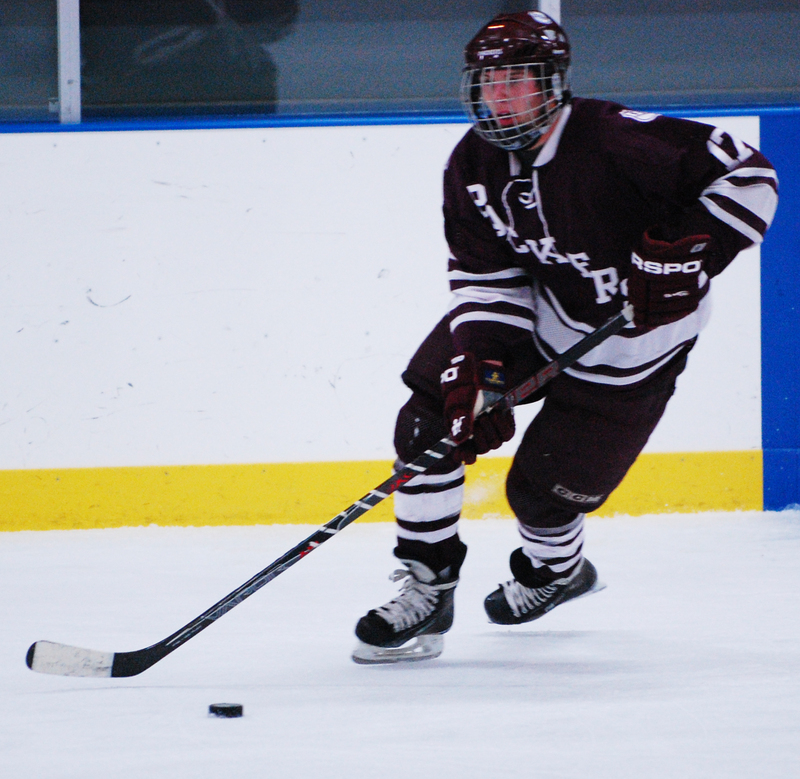 Johnson, paired with fellow senior standout Chris Casto, was solid at both ends all night. 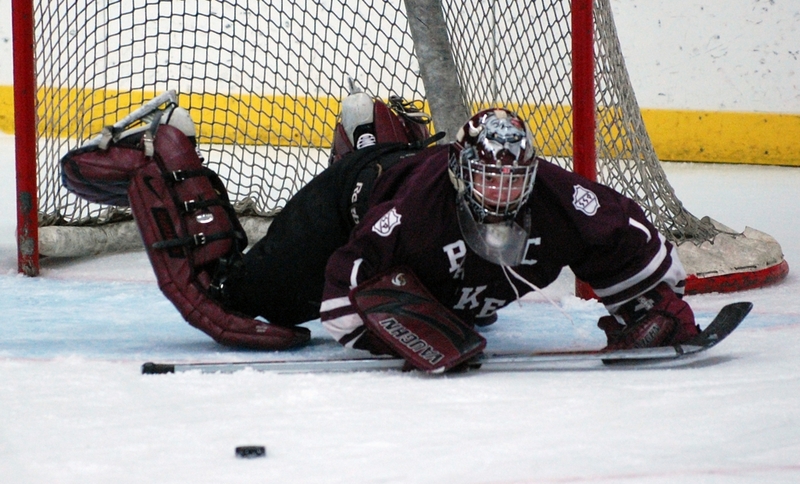 South St. Paul goaltender Adam Wilcox, a junior who has committed to Minnesota, was his usual sharp self in the first period against Hill-Murray. 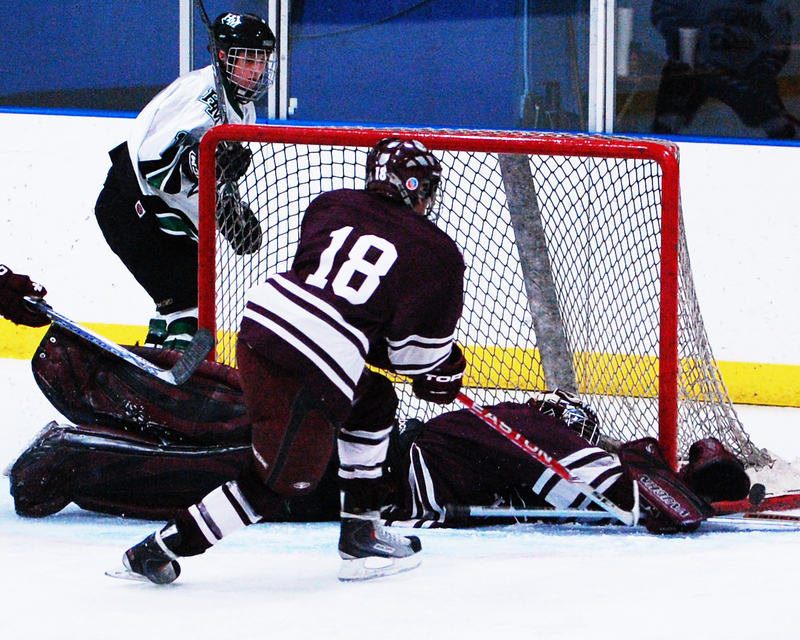 His best saves came on two outstanding, point-blank shorthanded tries by the the Pioneers' Ben Bahe and Zach Lavalle. 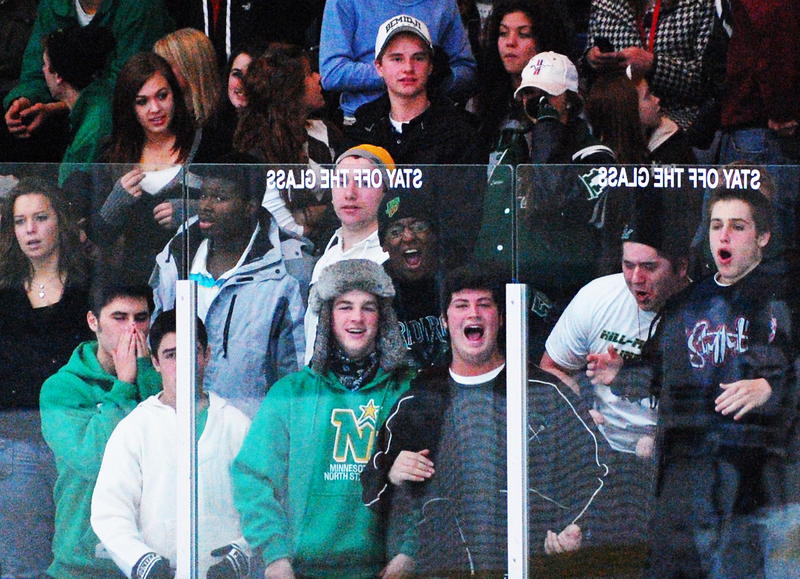 At one point in the first period Hill-Murray fired 16 unanswered shots at Wilcox. 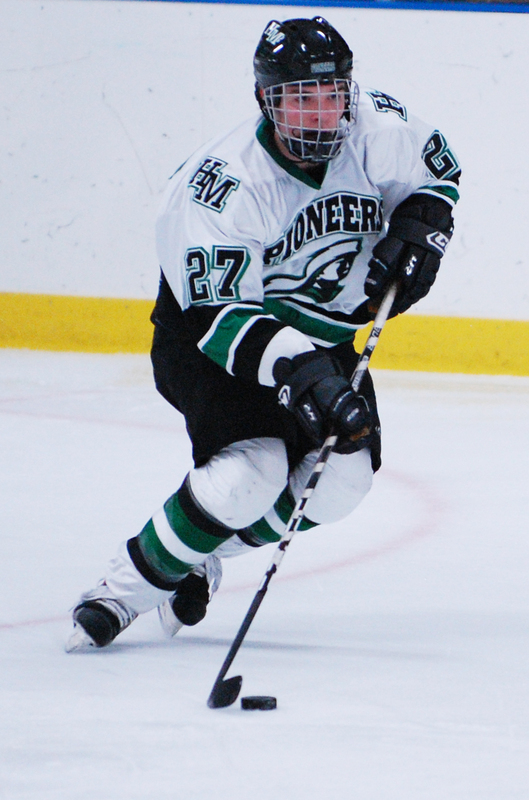 The Pioneers had more than seven minutes of power-play time in the first period, thanks in part to a 5-minute kneeing penalty called on Packers' sophomore defenseman Matt Pilot. 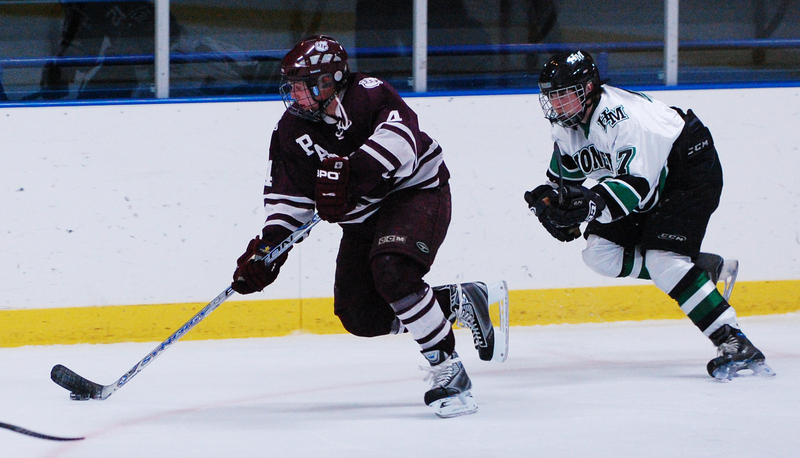 South St. Paul did a good job limiting the Pioneers' chances on that power play. Hill-Murray looked to have finally solved Wilcox in the second period when Lavalle finished off a goal-mouth scramble by banging the puck into the net. 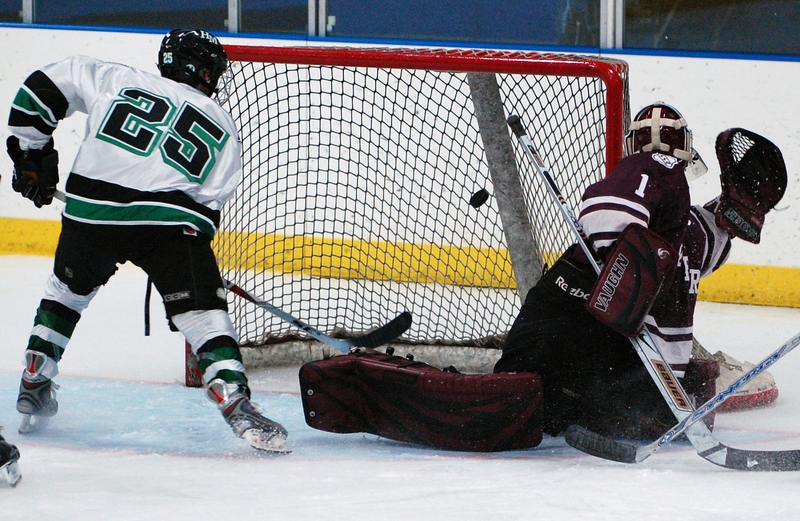 The goal, which came with about 3 minutes left in the period, was waived off because the net was off its moorings. 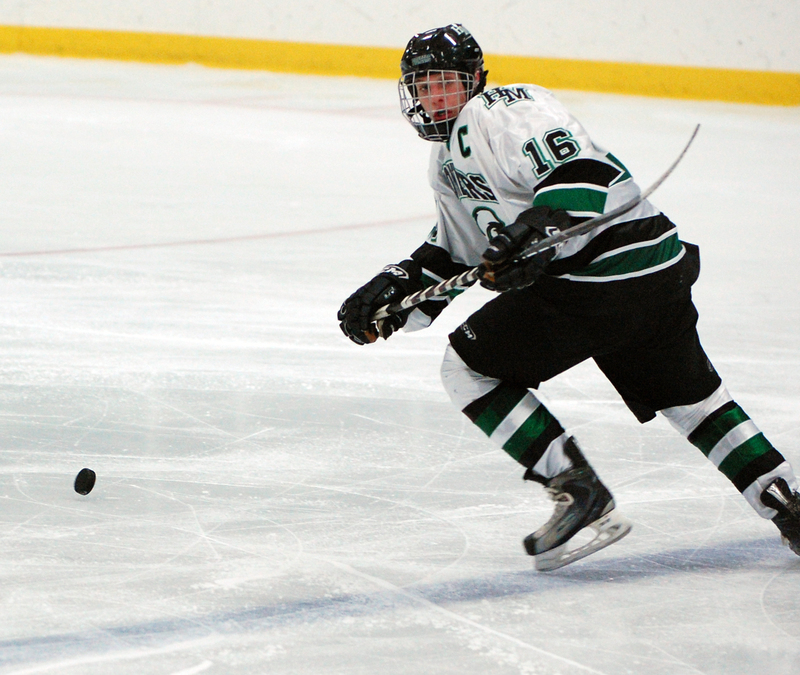 One of the few quality Packers scoring chances came late in the second period when Matt Wrobel, all alone in the slot to the right of Hill-Murray goaltender Tim Shaughnessy, tried to one-time a cross-ice pass but failed to connect squarely with the puck. Shaughnessy, in good position, made the easy save with his chest and catching glove.